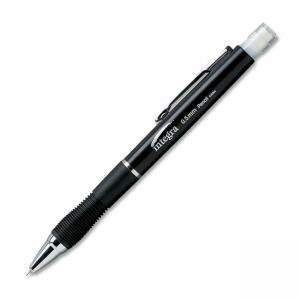 Mechanical pencil is ergonomically designed with a smooth barrel and rubber Comfort Zone grip for writing comfort. Lead storage and automatic lead feed keep you writing longer. Mechanical pencil has a metal pocket clip and eraser with protective plastic cap. Refillable.